CHLLNGR's nighttime dubby jam "Ask For" takes a trip way south from its Copenhagen birthplace to get Africa remixed by FADER #69/FADER #52 cover boys Spoek Mathambo and Mpumi Mcata of BLK JKS, as well as Mo Laudi from The Very Best. The dudes each drop verses over the wobbling beat, bathing the original's dark nordic vibes with some Jozi sunshine. 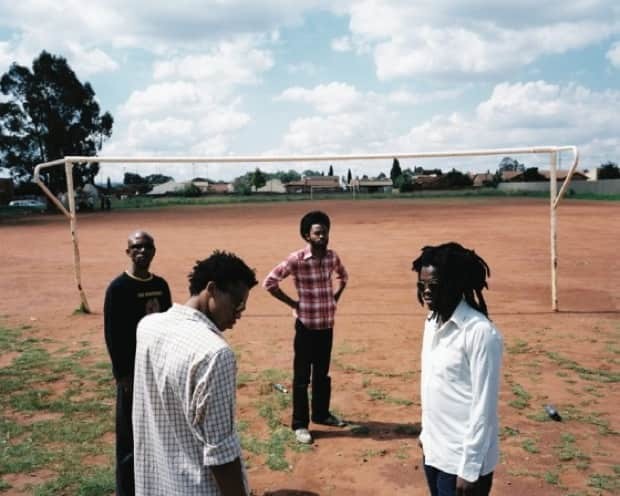 Download: CHLLNGR f. Spoek Mathambo, BLK JKS, and Mo Laudi "Ask For (Africa Remix)"